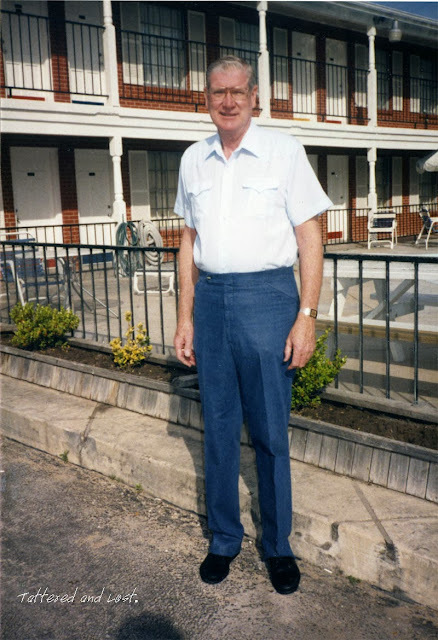 No idea where this might have been taken, but it was April 1987. It's interesting that most often what is written on the back of the photos is simply a date; not a specific date, just a month and year. 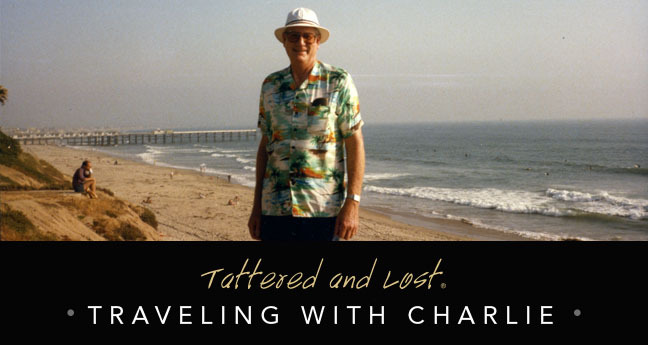 I'm guessing it was believed that just by looking at the photo Charlie and his wife would remember where it was taken. I think Charlie would have made a good catalogue model. I can see him in a Sears or Montgomery Wards. He was perhaps not sophisticated enough for Spiegel. When you finally run out of Charlie's photos, you should get a life-size photo mannequin made and then send Charlie around the world to pose in front of other boring places around the globe. That is such a grand idea. It would be fabulous.